Scholarships & Academics - Madison Delta Phi Lambda Sorority, Inc. The Jade Times (TJT) was established in 2009 as the national online newsletter/publication of Delta Phi Lambda Sorority, Inc. TJT serves as a median for undergraduate and alumnae sisters to connect through articles with sorority updates and topics related to the Greek community, womxn’s issues, philanthropy, and sisterhood. 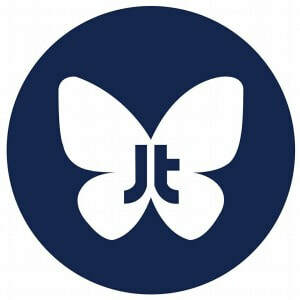 TJT also gives the public a glimpse of the mission and legacy of our organization. Currently, the Delta Phi Lambda Foundation funds three scholarships. Both undergraduate and alumnae sisters are encouraged to apply for scholarships and grants as they become available. These scholarships and grants are made possible by the generosity of our donors. Academic Excellence Scholarship – is an award that recognizes sisters who have not only devoted themselves to the sorority, but also to their future by maintaining their grades. The Hannah Seoh Alumnae Scholarship – is a professional development grant that will help graduate students and young professionals conduct research, study abroad, or pay for professional conferences. Central Fraternal Leadership Conference (AFLV Central) Scholarship – is a leadership education award which helps sisters attend the AFLV Conference that occurs every February. During this conference, we emphasize leadership skills so that we may retain, understand and execute its applications to everyday practices within the organization.